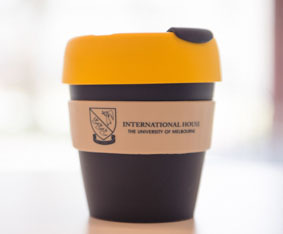 To purchase merchandise contact International House at ih-alumni@unimelb.edu.au or call +61 3 9345 7597. 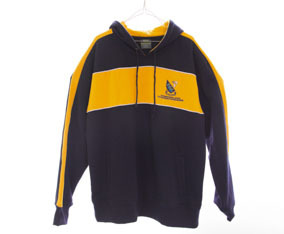 Navy blue polar fleece hoody with the International House logo embroidered on the front left breast. Unisex sizes: XS, S, M, L, XL, XLL. 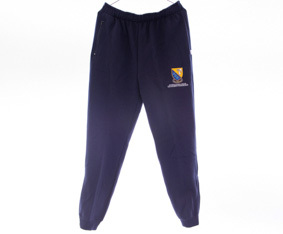 Navy polar fleece with zips at the ankles, embroidered with the International House logo on the top left leg. 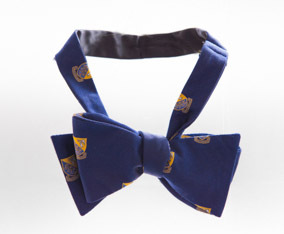 Unisex sizes: 6, 8, 10, 12, 14, 16, 18, 20. 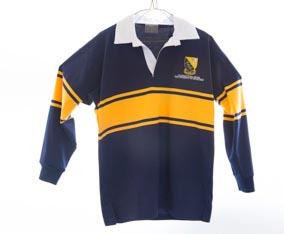 100% cotton rugby jersey in navy and yellow with a white collar. International House logo embroidered on the top left breast. Unisex sizes: 12K (XXXS), 14K (XXS), XS, S, M, L, XL. 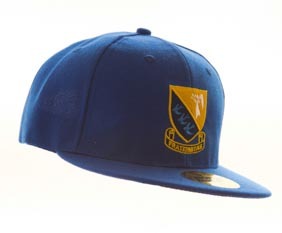 Royal blue snapback cap embroidered with the International House logo. Polypropylene lid and cup. BPA free. 8 oz / 227 mL. 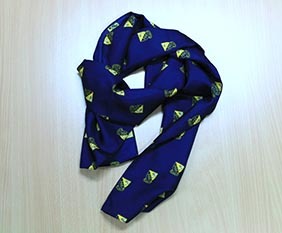 100% cotton sports scarf with striped blue and yellow decor and blue tassles. 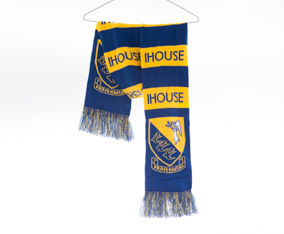 International House logo screen printed on navy silk. 140cm x 30cm. One size. 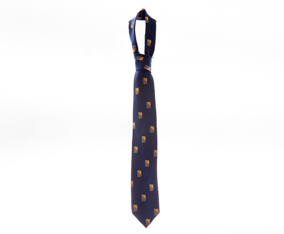 International House logo embroidered on navy silk. One size. Postage and handling fees apply to all orders shipped to Australia and internationally. Items over 2kg may incur additional postage and handling fees. Items will be dispatched by regular parcel post. Express post is available for an additional fee.